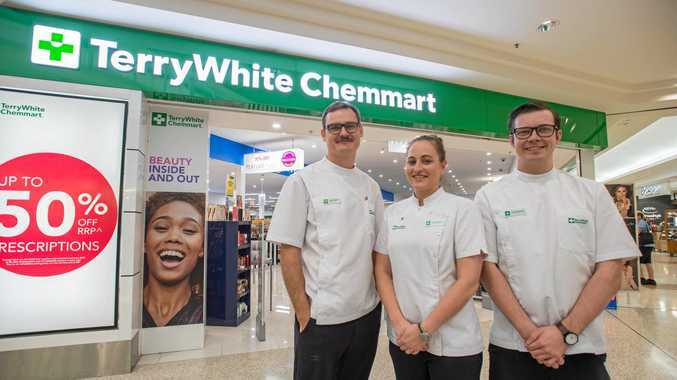 THE new TerryWhite Chemmart brand has been officially rolled out at Coffs Harbour, with the group now operating as the country's largest community pharmacy network under one banner. The two Coffs Harbour pharmacies have undergone transformations, including signage displaying the company's new green and white logo. Local pharmacy owner Tanya Maloney said her team is excited about the change. TerryWhite Chemmart CEO Anthony White said the group looked forward to welcoming locals to the new-look pharmacy. "TerryWhite Chemmart has a reputation for trusted pharmacy advice, personalised service and great value, and we are extremely pleased to be open for business under our new group name,” Mr White said.